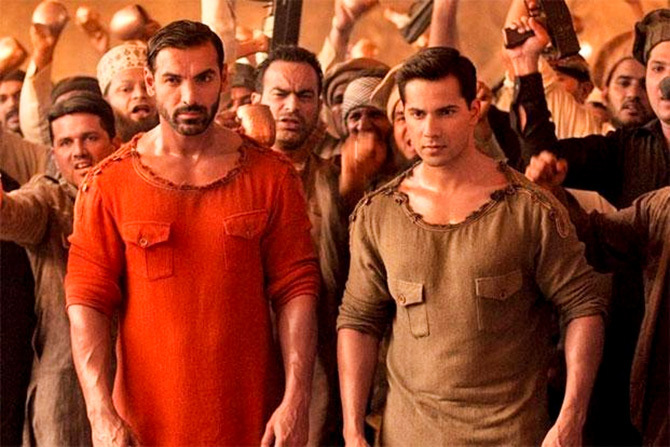 Rediff.com » Movies » Will Kalank be Varun-Alia's BIGGEST OPENER? Varun Dhawan and Alia Bhatt are clearly Bollywood's youngest superstars as they have been consistently delivering hits. Ever since they made their debut in Student Of The Year, Varun has not seen a flop yet while Alia has been disappointed just once with Shaandaar. 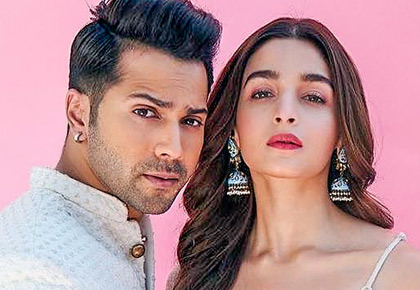 While they have delivered three hits together -- SOTY, Humpty Sharma Ki Dulhania and Badrinath Ki Dulhania -- they will be seen together again in Kalank. Between the two of them, 9 of their films have crossed the Rs 10 crore opening mark at the box office, and Kalank will add to the list. 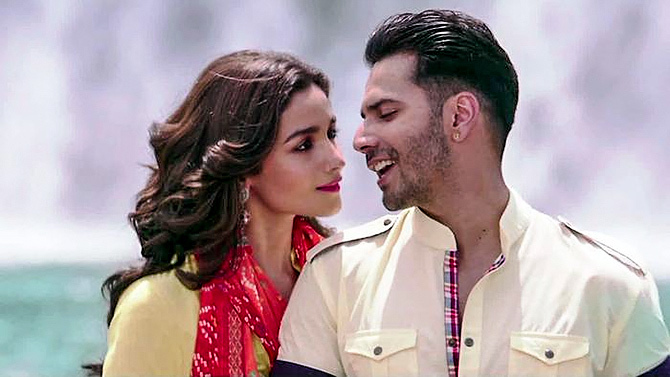 Joginder Tuteja looks at the biggest openings for films starring Alia and Varun. 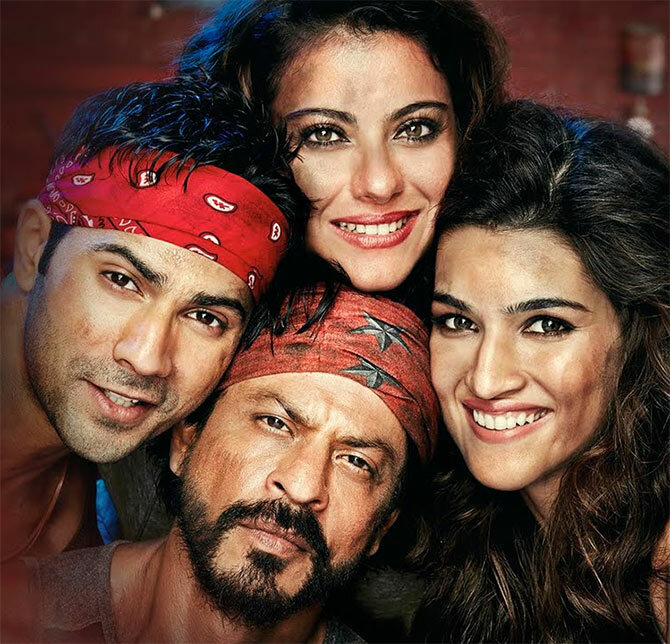 Varun was a part of this multi-starrer led by Shah Rukh Khan, directed by Rohit Shetty, and co-starring Kajol and Kriti Sanon. Despite being a SRK-Kajol show, Varun benefited from the film's good opening at the box office. The film may have centered around Ranveer Singh, but Alia's presence in the musical drama definitely added to the film's success. Directed by Zoya Akhtar, the release was timed for Valentine's Day and that added to its opening collections. Varun played a double role in Judwaa 2, and carried the film on his shoulders. Producer Sajid Nadiadwala went all out to pitch this David Dhawan remake as a big event and Varun's high voltage energy was visible on screen. Judwaa 2 got Varun his biggest opening ever. Before Judwaa 2, Varun had ensured yet another big opening when his ABCD 2 (Any Body Can Dance) hit the screens. A sequel to the hit ABCD, this Remo D'Souza film co-starred Shraddha Kapoor and Prabhu Deva. Varun danced away to glory with this successful musical. Karan Johar backed Shaandaar and the outcome was superb at the box office on the opening day. Shaandaar remains Shahid Kapoor's biggest solo opener ever even though it bombed soon after. 2 States was Alia's third release as a leading lady and managed a double digit opening score for itself. The film, incidentally, boasts the same team as Kalank, with Karan Johar and Sajid Nadiadwala coming together as producers and Abhishek Varman directing it. 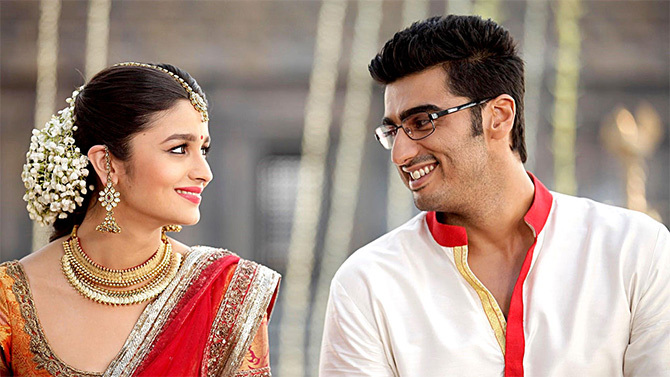 2 States is Arjun Kapoor's biggest opener till date, and it was a superhit at the box office. After Student Of The Year and Humpty Sharma Ki Dulhania, Varun and Alia scored a hat-trick of successes when they were paired together in Badrinath Ki Dulhania. The film saw an even bigger opening compared to the first two, and it was after this that the hit jodi -- and their mentor Karan Johar -- got into the habit of scoring big hits. A Sajid Nadiadwala production, Dishoom saw a bromance with Varun and John Abraham. Directed by Varun's brother Rohit Dhawan, Dishoom saw a good opening at the box office. Varun's comic timing was on full display and the action comedy went on to be a decent success. After Shaandaar, Alia and Shahid came together again, though Udta Punjab was a totally different kind of film. Playing a migrant, Alia was seen in a de-glam role, and she gave a topnotch performance as usual. Critics and audiences loved this Abhishek Chaubey film.